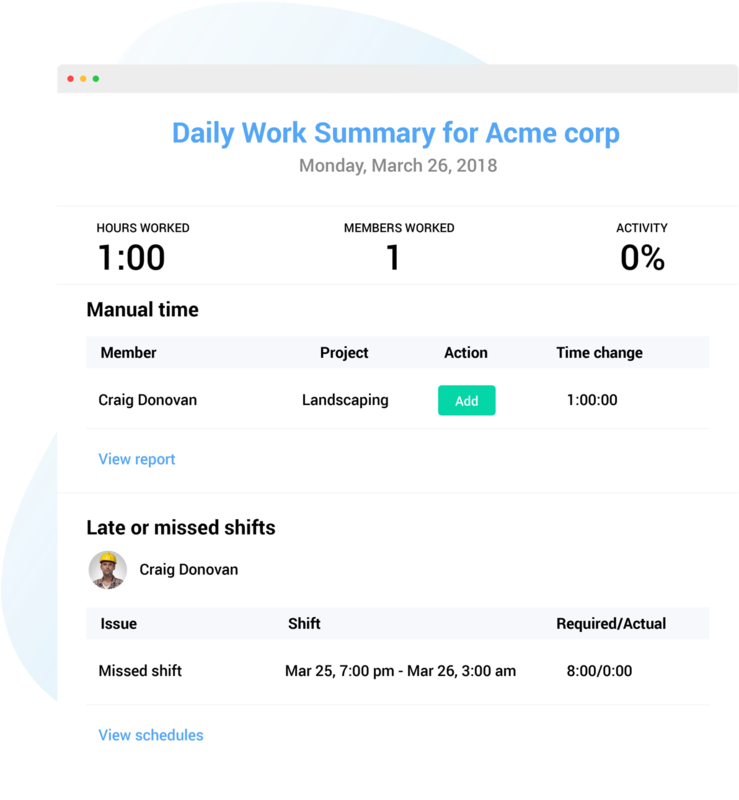 Hubstaff makes it easy for your team members to track time when they are working for different clients and on different tasks. 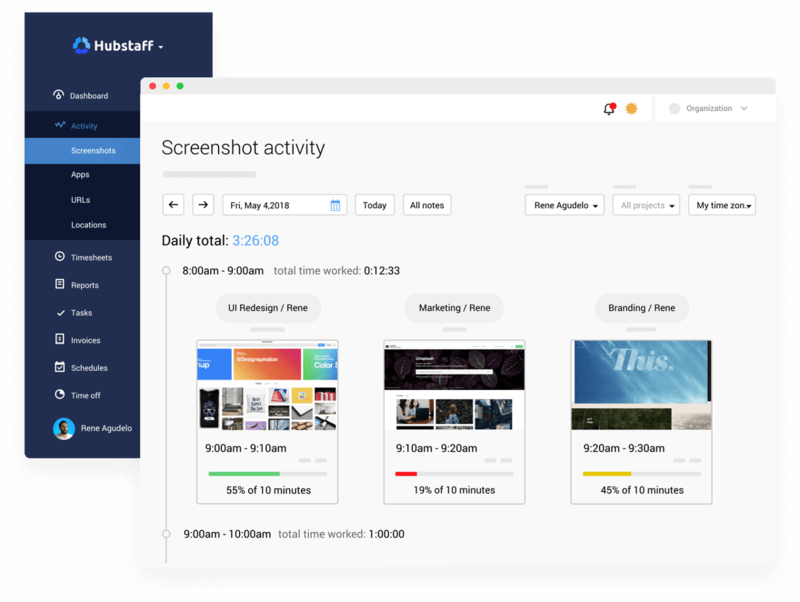 The Hubstaff app takes screenshots and monitors activity levels so you'll know exactly what happens during work hours. All time tracked through Hubstaff can be exported to QuickBooks Online automatically, so you won't have to waste time manually filling in reports ever again. QuickBooks Online is a powerful online accounting solution and makes it easy to track expenses and send invoices. Until now, you needed to manually fill out reports for time worked. By integrating QuickBooks Online with Hubstaff, you can track the exact time with the push of a button and have that automatically sent to your QuickBooks Online account. Your reports will be filled out for you and you'll be able to spend more time helping your clients. When your team members track their time worked with Hubstaff, you can see screenshots and activity levels of work being done. You can even invite clients to view screenshots and verify work in Hubstaff. You'll have automatic reports of time worked and be able to give your clients extra peace of mind. The Hubstaff app works on Windows, OS X, Linux, and iOS. Your clients will be able to rest assured that they're only billed for time your team spends working. Hubstaff has plenty of settings so you can easily customize your team's time tracking experience. Hubstaff knows when a worker is away, so it won't keep tracking time if left running by mistake. Hubstaff's automatic reports are one of the most powerful features of the service. 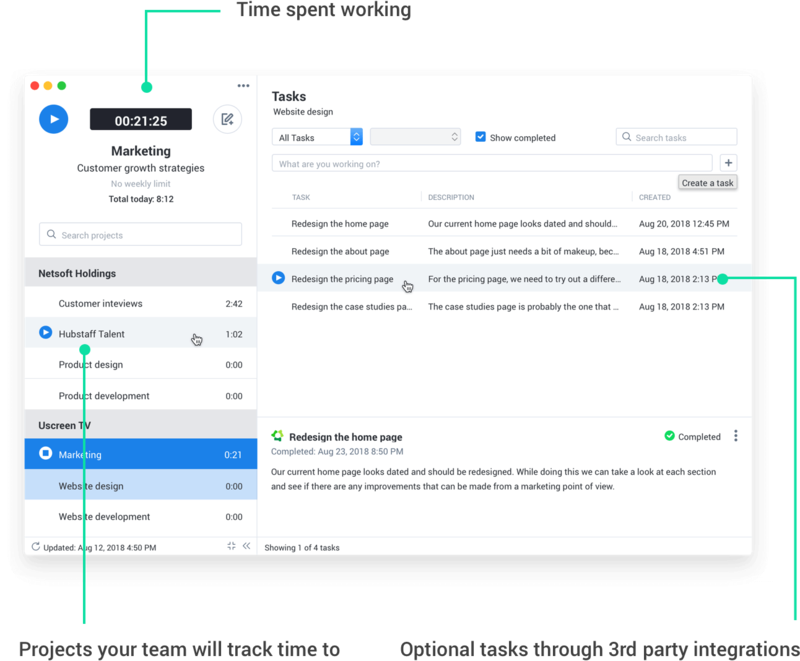 You and your team members can easily find out how much time they've spent working on any given day, week, month, or arbitrary period of time. Include notes, activity levels, and even task time in the reports and then download or email the reports to clients.